Itâs really disturbing to hear some venture capitalists publicly champion an inhuman working schedule(996) that is on par with slavery unashamedly.Plz stop this show, which is basically saying, joining us in China, the world wildest playground for capitalists, where thereâs a bountiful feast of slavers to exploit. Sick. Really love and enjoy this podcast for business people and especially for aspiring entrepreneurs with ambitions to build global companies. I think cross-border entrepreneurs have unique advantages and this podcast really showcases thatâthe perspective, connections, and experiences abroad gives insights that help improve your idea, product, and/or business. Many founders took inspiration from US to China to create billion dollar companiesâthe âsea turtlesâ. I think this is also happening in the reverse more often and weâll see this over the next decade where entrepreneurs who live, work in, or travel often to Asia can take inspiration there and bring it to the West. The community is fantastic as well, Iâve connected with some people via the WeChat group and also got to meet Zara (sheâs great and amazingly sharp and smart). I have really appreciated the content in this podcast but I canât help but get distracted by Mr. Tungâs interview style. Please, please stop saying âyepâ, ârightâ, âuhuhâ after every point and interrupting the speaker by trying to say what you think the speaker is going to say. Just relax and let the speakers speak. We already know youâre smart, Hans, no need to keep jumping in. :) I say this with the best of intentions because I do love the podcast. Just maybe treat it more like a professional show and less like a casual networking conversation. Then it will be PERFECT. Again, thank you for a great show, thatâs why Iâm giving 5 stars. This podcast got me into podcasts! This is such a great way to learn more about China technology and canât wait to hear Hans and Zara converse with more Chinese tech changemakers. I appreciate the Bingobox founderâs passion or even if it is a great investment of GGV, however, the founder is just not a good speaker (at least not good English speaker). It is very hard to follow him and not even sure if he prepared for the interview. I was extremely looking forward to hearing the story of the new internet, however, I am sad to say this is not the best story.I hope the 996 podcast caught this type of issue in advance going forward. Great initiative and content! I have to say that itâs almost rude for the host to constantly interrupt guest speakers before they were able to finish their thoughts. If you invite people to talk, then let them talk! Itâs ok to set up the question and follow up with your own takeaway, but please let them finish! Itâs getting very annoying for listeners. 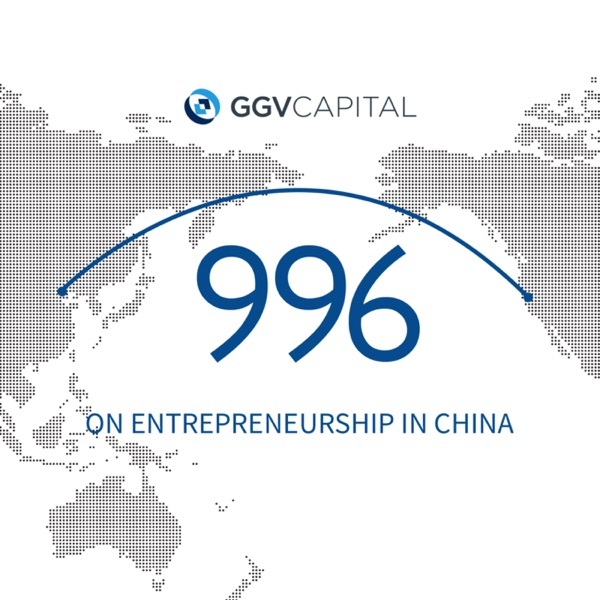 996 is a great podcast to understand Chinese tech ecosystem and offers a unique angle that interpret the heated topics in tech. Zara and Hanson are amazing producers! I listen to a lot of China Tech related podcasts. This podcast is by far the best. Great hosts who have deep knowledge and experience. Great guests who are at the top of the industry. Please keep the episodes coming! There is finally a podcast covering Chinese tech! You can't find these exclusive interviews anywhere else! Fantastic job to Hans, Zara, and Kaiser! Very insightful discussion that brings a nuanced cross-cultural interpretation of technology trends in china that goes beyond standard frames. A great way to understand and learn about a huge and (possibly future leading) player in our global economy. Love this podcast - loved hearing the stories and insights that are rare to get from written articles. Thank you Hans and Zara! Love this amazing podcast series that gives insights on the startup world in China. Looking forward to new episodes! The podcast is very helpful to understand China better. Thanks for making this! Learned much insights on entrepreneurship after listening to it. I love what the GGV team has done with the 996 newsletter and now with this podcast!!! I can't wait for more episodes!! !